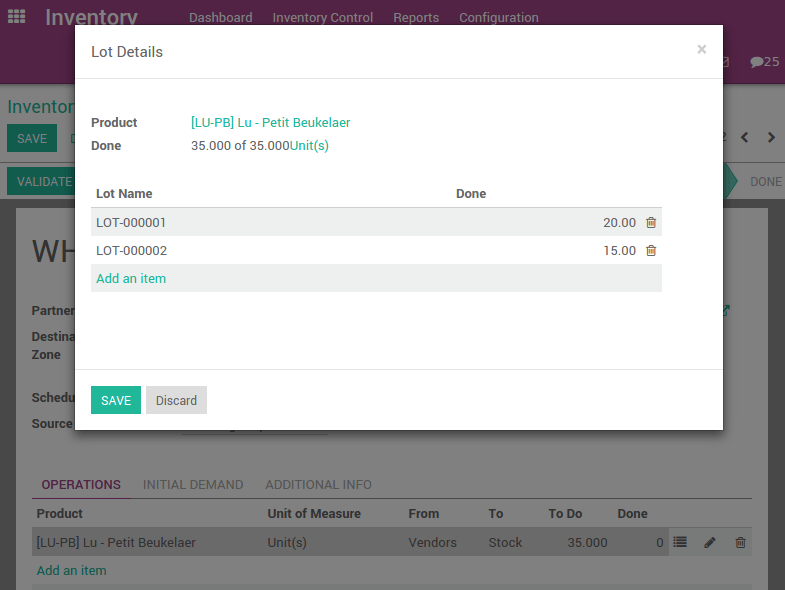 Lot numbers are attributed to several identical products, so each time you scan a lot number, Odoo will add one on the product count. On the opposite, a serial number is unique, and represented by only one barcode, sticked on only one item. 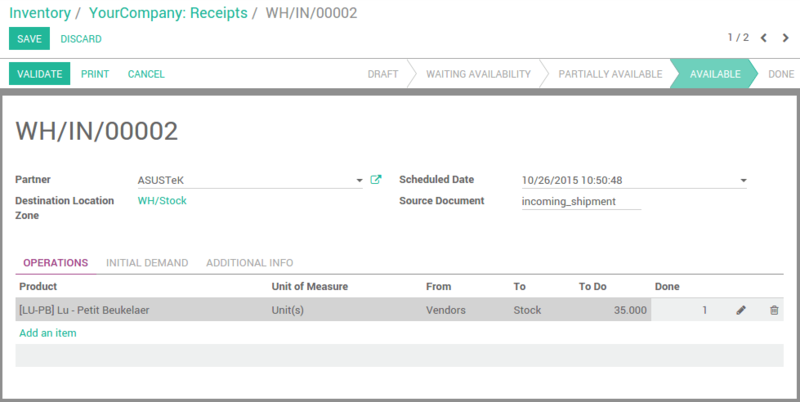 This means that Odoo won't accept scanning the same serial number more than once per operation. Here, we configured Lu - Petit Beukelaer tracking by lots. 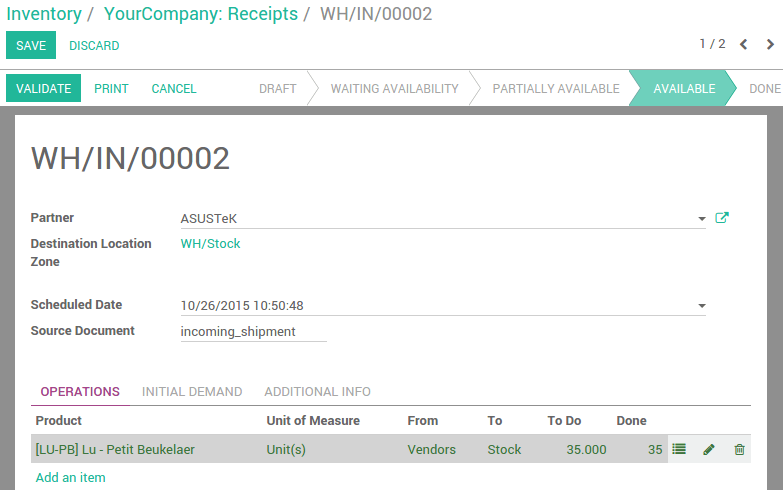 Scan a product from this incoming shipment, then scan the lot number of each product (you can also use the keyboard). Click save/scan Validate and you are done.